Harajuku girl in twin buns dressed in an all black ensemble while out and about on the street. Harajuku trio sporting striking and stylish ensembles while out and about one busy afternoon. Harajuku teens sporting eye-catching streetwear styles while out and about on the street. 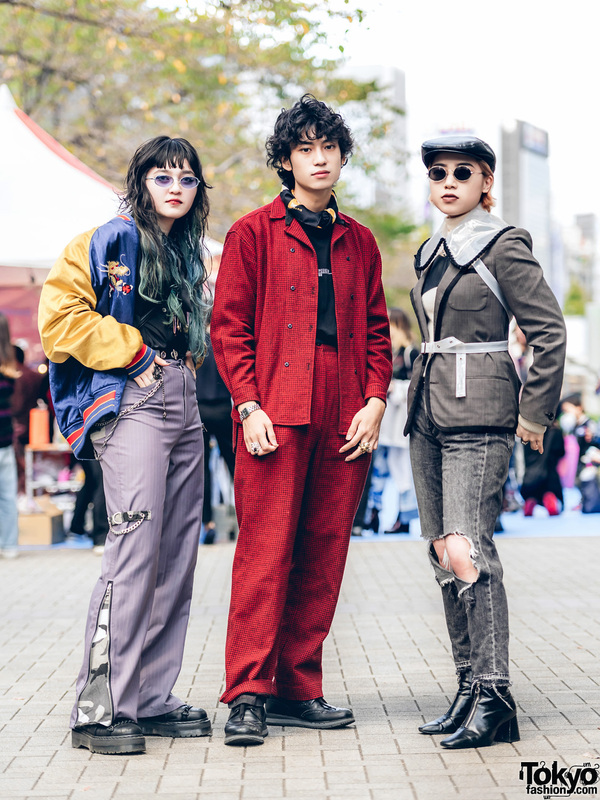 Red-haired Japanese teens sporting streetwear looks and lots of sass while out on the street in Harajuku. 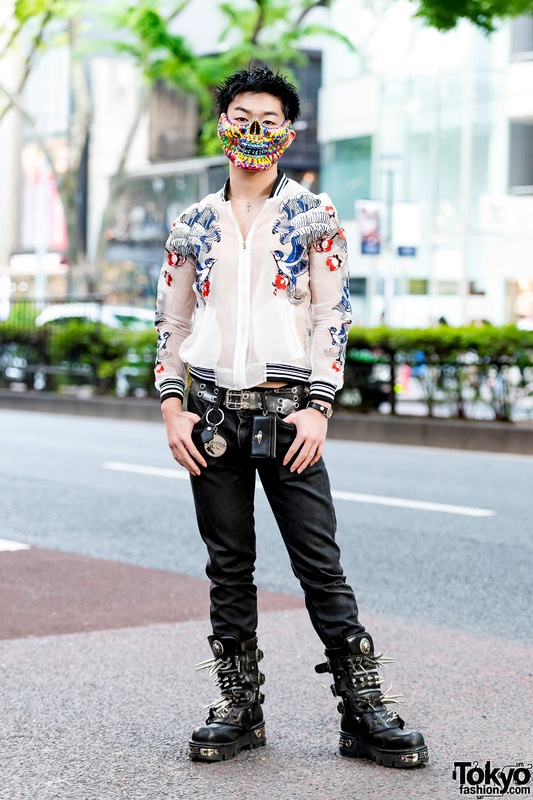 Harajuku guy sporting a punk-infused style w/ sheer sukajan, black jeans, and platform spike boots. 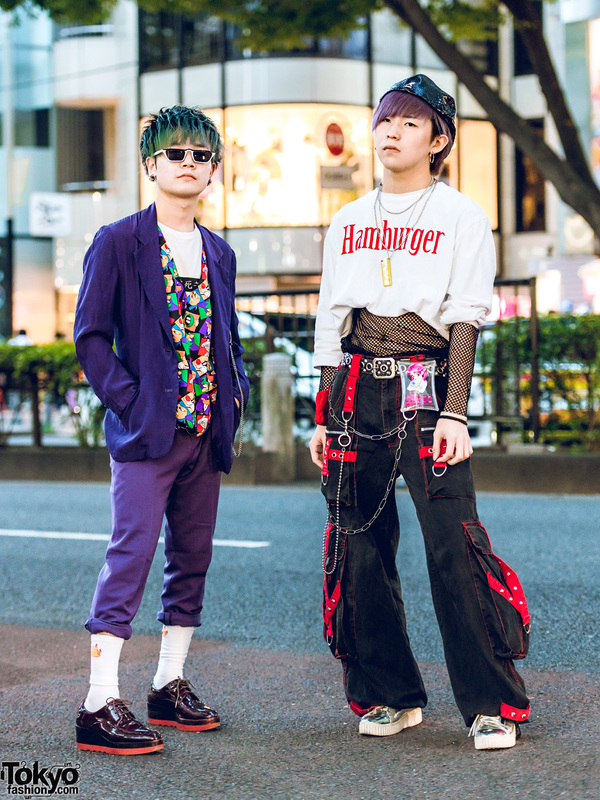 Harajuku duo in modern street styles while out and about. Harajuku duo in layered monochrome street styles while out on the street. 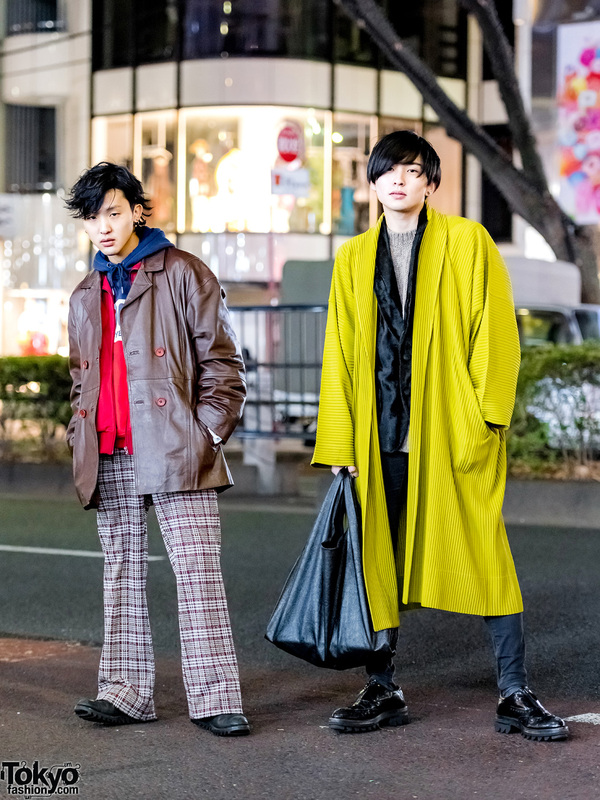 Harajuku guys showcasing stylish nighttime streetwear ensembles while out on the street. 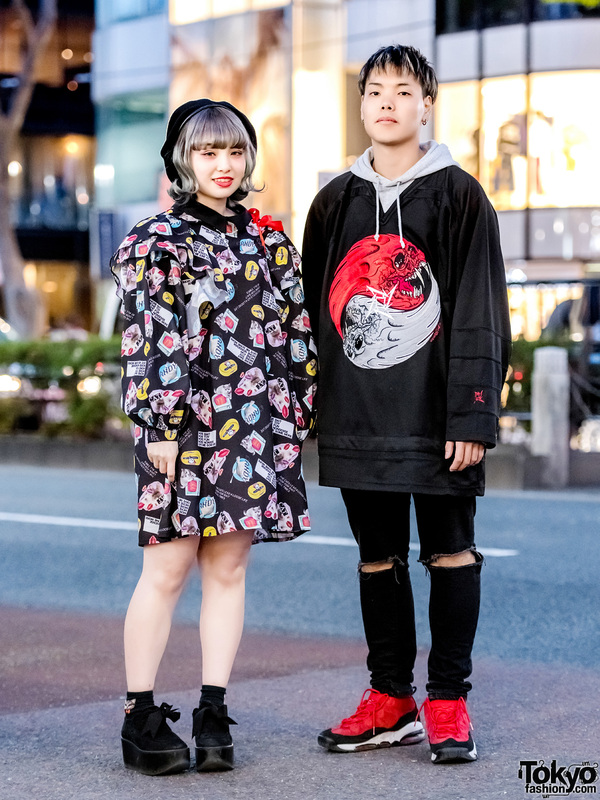 Harajuku duo wearing contrasting styles in black and pink.